PrestaShop CSV based pricing module provides area based product pricing functionally that allows merchants to sell products like canvas, blind, banner, tiles, fabrics. 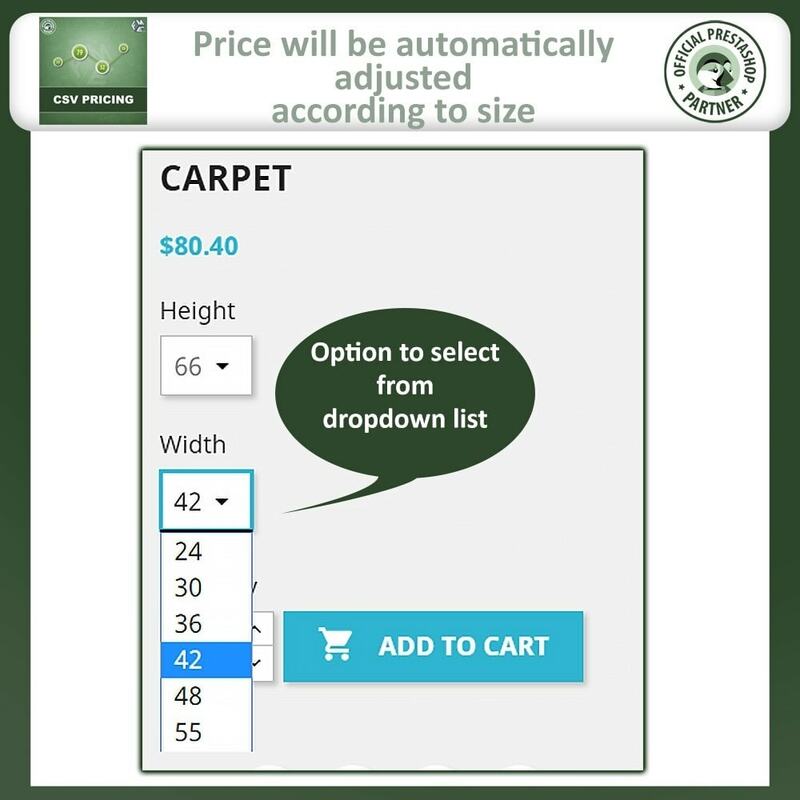 Let customers enter measurement or select sizes from the drop down. What this PrestaShop square meter pricing module does for you? If you are dealing in products like liquids, canvas, blind, banner, floor, fabrics, substances and barrels which require measurements with regards to height, width and length. Once the value has been entered, the price will automatically show in proportion to the entered measurement. The PrestaShop pricing extension scans the CSV file attached to the product to calculate and display price. 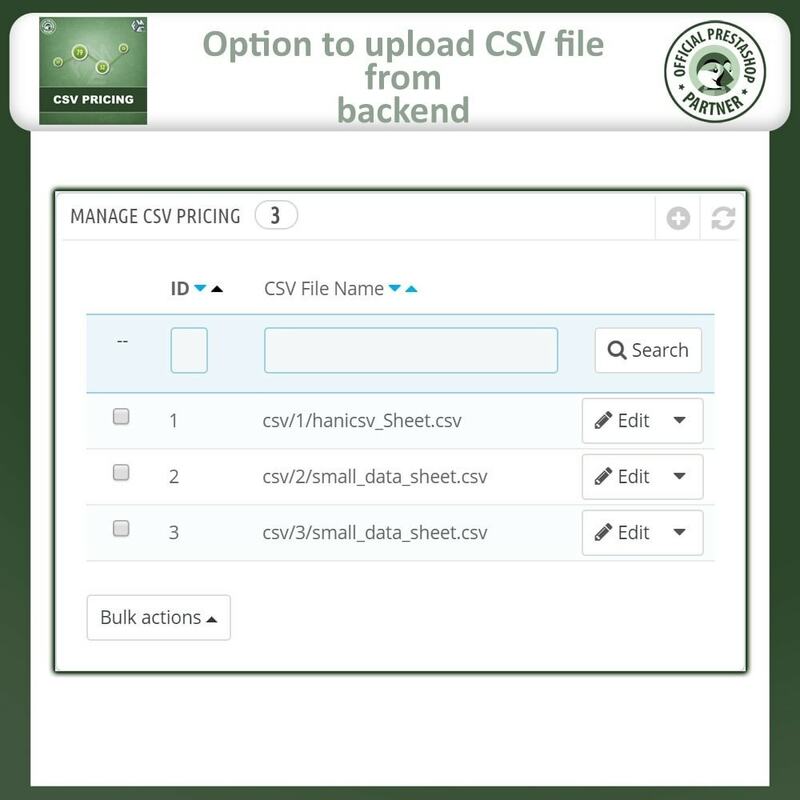 A sample of CSV files can be viewed in snapshots section. This spreadsheet contains length, width, and prices as required by the admin. This PrestaShop area based pricing module also allows you to upload multiple CSV files and then assign them to different products. The back-end allows the admin to change the available combinations the extension shows. Combinations are the intersections that happen on each column and row. This will help you prevent wasting time on the editing of CSV file over and over. Labels for CSV row and column can be managed from the central configuration section. 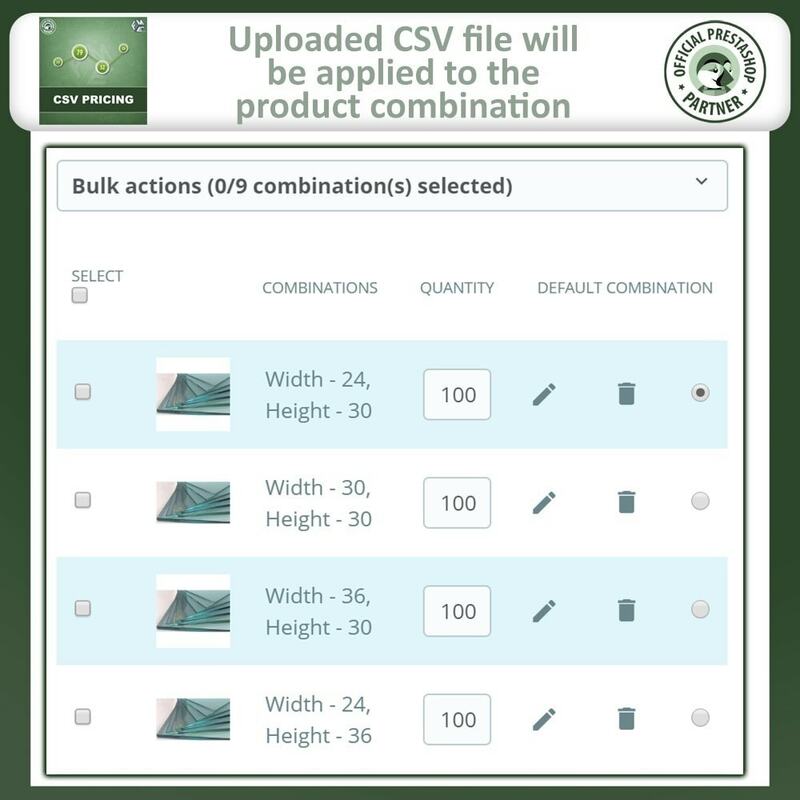 Various CSV files for different products can be used as well as a single CSV file for more than one product. At the back office, the section for ‘PrestaShop CSV Pricing' is used for transferring and managing CSV files from a single place. The prime features of PrestaShop dynamic pricing module are shown as follows. Merchandise such as liquids, fabrics, plastic sheets and industrial floors etc. are variable sized products and with this extension, you can measure the price of these products according to your requirements. For CSV column and row, you can make personalized labels using product price calculator in PrestaShop. Change the combination and settings from back-end with the help of combination builder. For every product, an additional tab is generated to accomplish this. 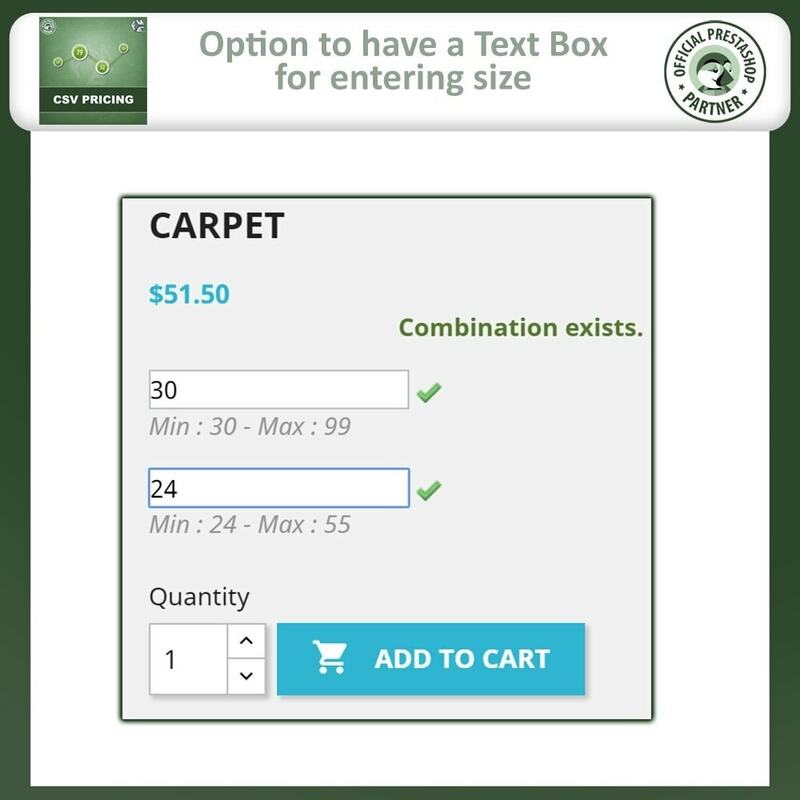 With CSV pricing, customers can request for an amount of the product as they need so that their needs can be fulfilled within an order. The pricing that is dependent on the quantity of product they purchase saves them a lot, as the less they order the less they are billed. 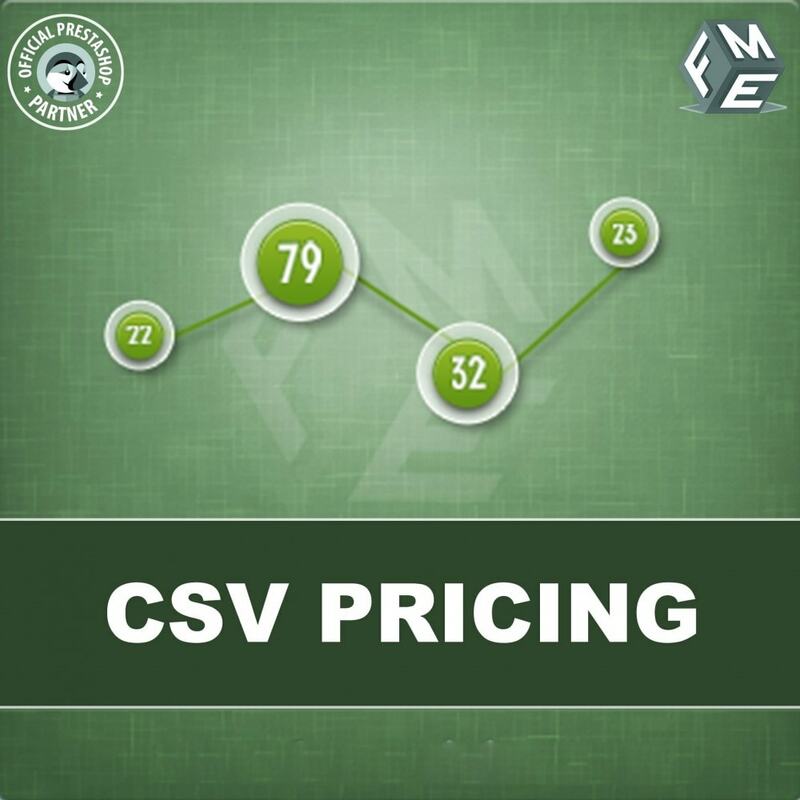 Most of the manufacturers sell some of the products in lots, whereas customers are attracted to CSV pricing because they can request the amount they need and never have to dispose-off the remaining part.